The semester is flying by and spring break is just around the corner! 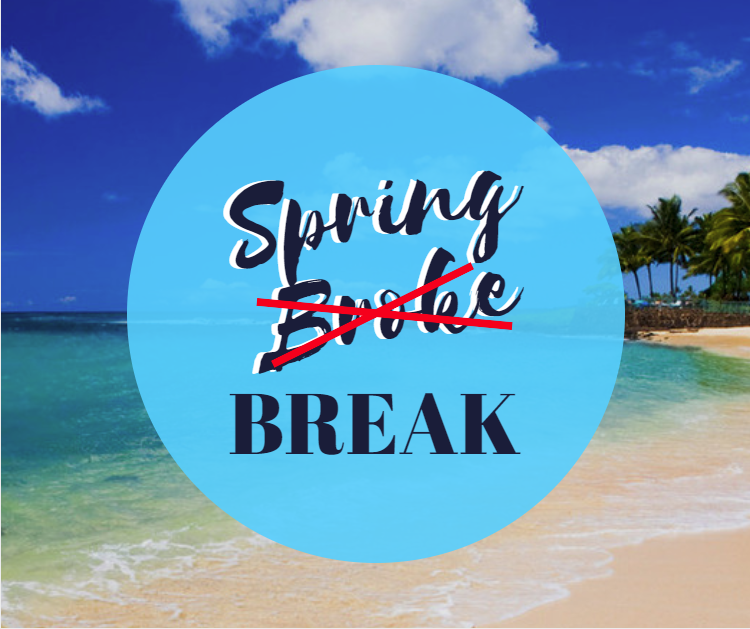 Spring break is meant to be a fun and relaxing time to get your mind off of school and rejuvenate yourself. However, traveling can become quite expensive and many students end up stressing out about their trip because of the overwhelming costs. Below are helpful tips and tricks to help save some extra cash so you can focus on having a well-deserved stress free week. Meals can eat away at your budget very quickly, especially when restaurants at many spring break locations can be quite pricey, albeit delicious! Consider packing your own food and drinks when you are traveling. If you’re carpooling with friends, pack a cooler full of sandwiches, drinks, and snacks. This will be cheaper than stopping at restaurants along the way, even the seemingly inexpensive fast food places. It will also shorten the time of your trip by cutting out those timely meal stops and help you get to your destination faster! If you are flying somewhere you can also pack a meal and/or snacks. Food on airplanes and in the airports is very expensive, avoiding these options for meals will significantly decrease your meal costs. Another common way to bring down your food costs is finding a hotel furnished with a refrigerator and microwave, or better yet an in-room kitchen. Buying groceries and making a few meals in your hotel will be much cheaper than going out for every meal, or ordering room service. It is important to not forget about taking care of your car if you happen to be the lucky one driving cross-country. Make sure your car is free of any maintenance issues before starting your journey, and check to assure you have recently had an oil change. 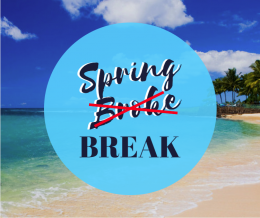 A car breakdown on spring break is not only costly, it’s absolutely no fun and cuts into your vacation time. Also, remember to properly inflate your tires to the appropriate pressure, and use cruise control on the highway, to increase your gas mileage. GasBuddy is a free app that shows you all the gas prices in your area. You can use it to locate the lowest priced gas station when you need to fill up. If you submit the price you paid at the pump you can be entered to win a drawing for $100 every week too. That could be a great budget booster for your spring break! Make sure you have a sufficient packing list before you depart. Bring essential items such as sunscreen, sunglasses, etc. as these items tend to be much more costly at tourist destinations. These attractions can also be popular areas for thieves to look for distracted individuals, or cars that aren’t secured. College students are also popular targets for scams, so if it sounds too good to be true, it probably is! 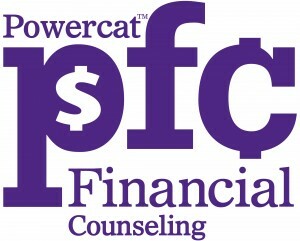 If your student would like to start a budget for spring break, or have any other financial related questions, they can request a free appointment with Powercat Financial at www.k-state.edu/powercatfinancial and click on the “request an appointment” link on the homepage.